On the internet you can find many videos of hat designers and materials suppliers about making hats, fascinators and matching accessories. 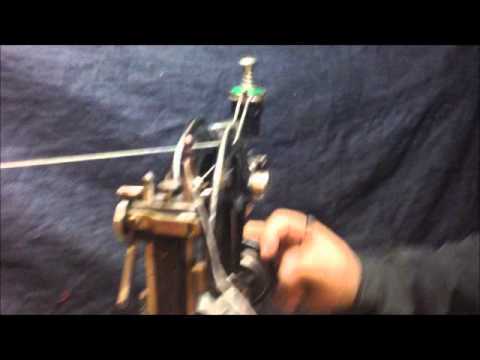 Below you will find a series of interesting videos with practical tips and useful background information. "Hats are made the same way, they are trimmed, trimmed and sewn by hand". 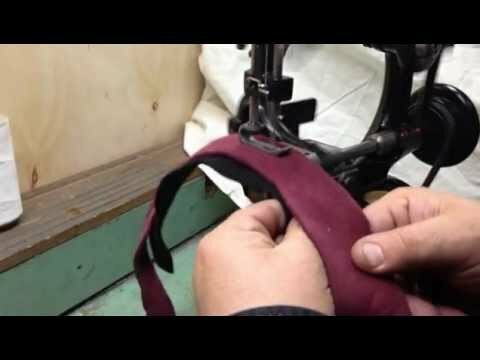 In this video, milliner Philip Ian Wright provides a passionate and fascinating insight into the process of how to make a hat. 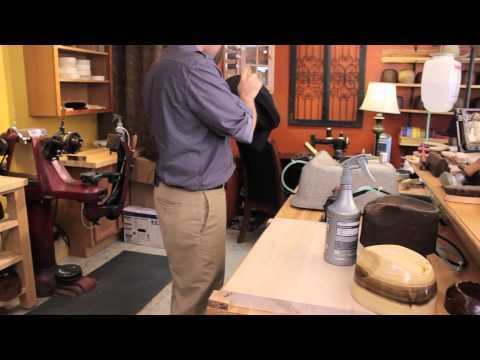 Hat maker for Boardwalk Empire, Gary "White" Witkowski, takes us through the process of creating a vintage hat like the HBO series. White is one of North American's premiere custom hat makers who is frequently called upon by Hollywood for his old world craftsmanship. 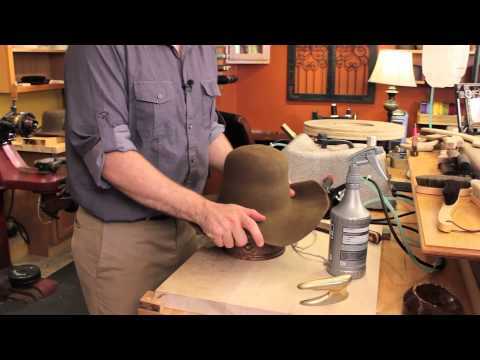 How to waterproof a felt hat. 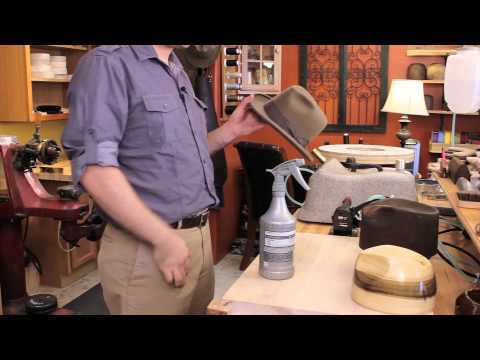 How to clean your felt hat. 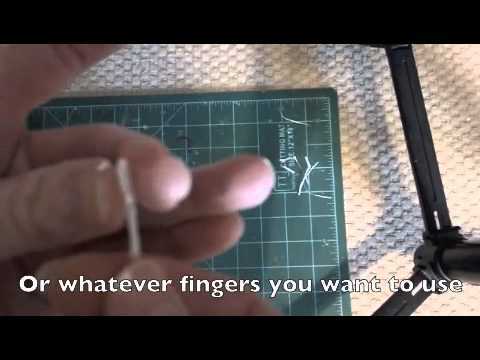 This video teaches you the proper method of cleaning your felt hats using a hat brush. A walk through America's longest running factory with President and CEO, Don Rongione. From our American Made Matters initiative we have been proudly in Adamstown, PA for over 143 years. 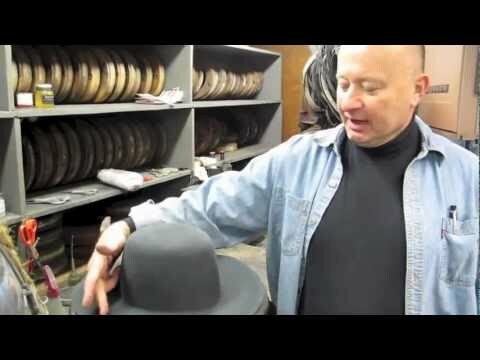 Victor Osborne - Making hats in New York's Lower East Side. The new Stainless Steel egg from Guy Morse-Brown Hat Blocks Ltd. Easily form trilby / fedora dimples, finalize the shape of the valley, iron in awkward shapes in sculptured hat blocks, etc. Not just your average egg - no rest, no maintenance! Blocking a sinamay hat with aluminum block with string groove and counter mold. Kathy shows how to add feathers to your Derby Hat. Milliner Jan Wutkowski shows students some ways to embellish headpieces with different kinds of feathers or two-day workshops for The Art League, "Fascinators: Hats and Headpieces for Everyone." Milliner Jan Wutkowski shows students some ways to embellish headpieces with crin (horsehair) and sinamay. Some student projects from the two-day workshop, "Fascinators: Hats and Headpieces for Everyone," are shown at the beginning of the video. 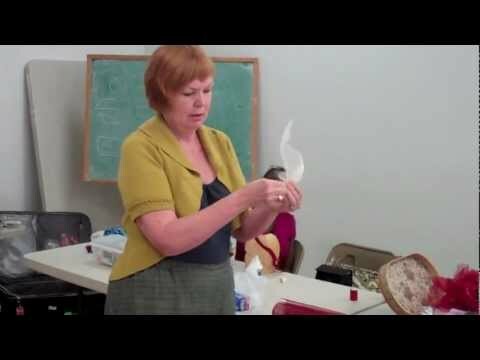 Workshop describing how to curl and cut feathers for trimming hats and fascinators. A sinamay leaf, combined with biot and ostrich feathers, this can be attached to a comb or alice for a fascinator, or placed on your designer hat, made by Bethune, Have a try and email your photos. A sinamay rolled edged trim, the start of a fascinator or trimming for your hat made by Bethune. Do feel free to leave a comment. A sinamay lilly trim for anyone to try and be built up as a fascinator or embelishment for your hat. I do hope you enjoy. Watch out for more millinery tutorials. Please feel free to leave a comment. 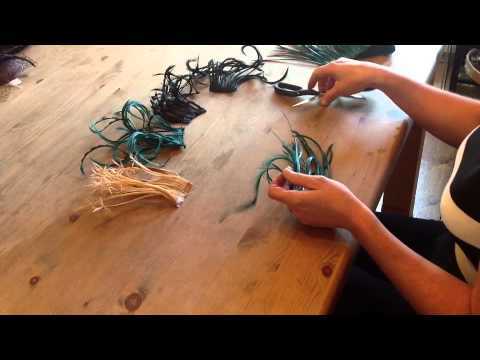 Tutorial showing how to make beautiful trims for your hats and fascinators. This is a quick tutorial on how I make vintage style flower stamens (I think that's what they are called). There are probably lots of other tutorials out there, but this is just how I worked out how to achieve a look that I wanted for my flower centers. Hope this is helpful and thanks for watching. In this tutorial you will learn practical information about coloring leaves in Somebana technique, Japanese silk flower art. How to use your flowertools. 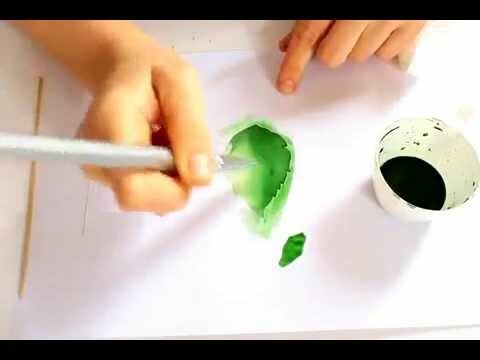 In this tutorial you will learn practical information about coloring leaves in Somebana technique, a Japanese silk flower art. 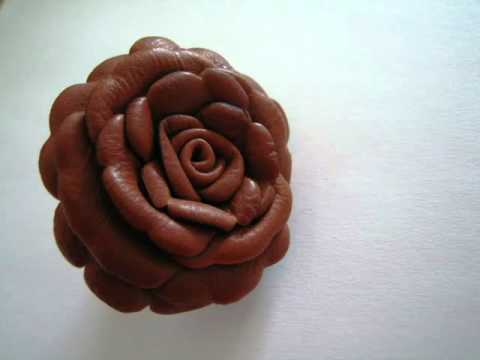 Tutorial for a leather flower brooch. 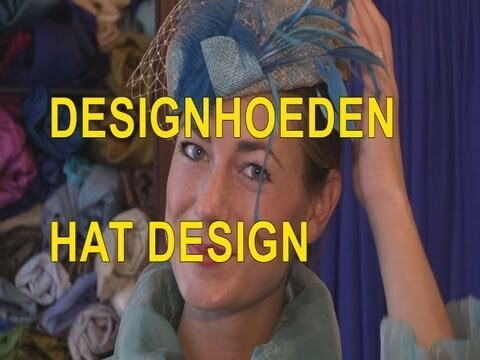 The Barendrecht hat designer Myra van de Korput talks about her designs. 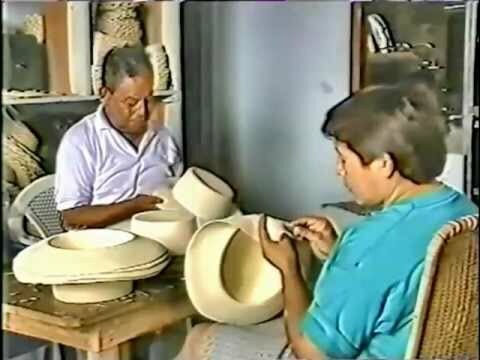 This video shows you the Panama Hat. Starting in the jungles of Ecuador where Toquilla Palm leaves are collected, boiled and bleached. 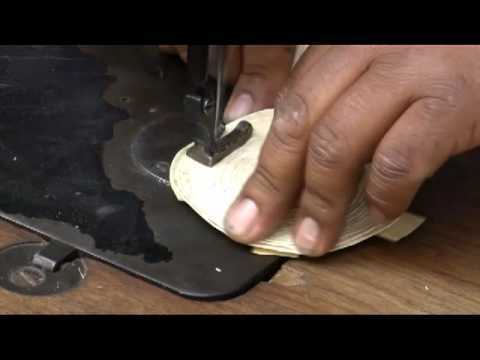 Juan Carlos Morales begins sewing a Guatemalan palm-leaf hat. He starts with three pieces of palm arranged as a cross. He then sews palm braid to this in an overlapping spiral. This will be the crown of the finished hat. 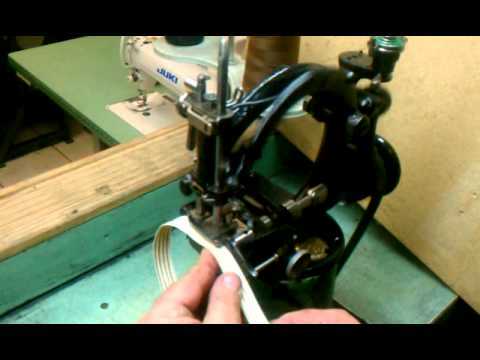 All of this is a treadle sewing machine: powered by the feet, not a motor !. Be sure to watch until you can see his feet pumping. 7 minutes work and 20 years experience to make an Anthony Peto Straw hat. 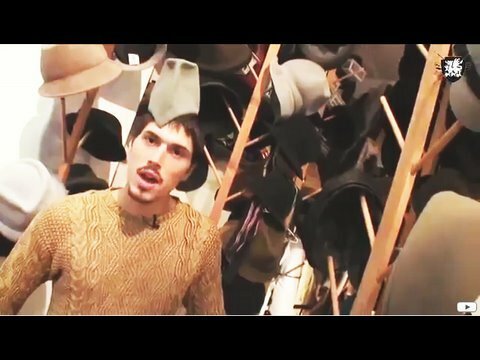 We - Village Hat Shop, VillageHatShop.com - travel the world seeking the best hat values ​​available. We've visited a lot of hat factories. Few in the world with people with this skill - sewing braided hats. 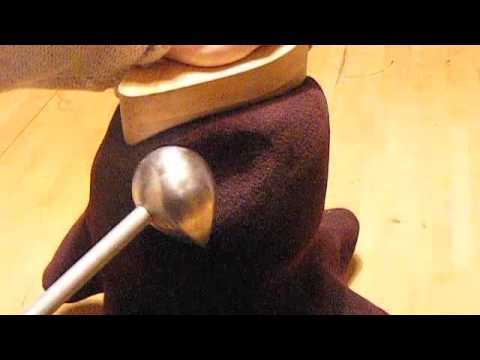 Old techniques of hat block making. 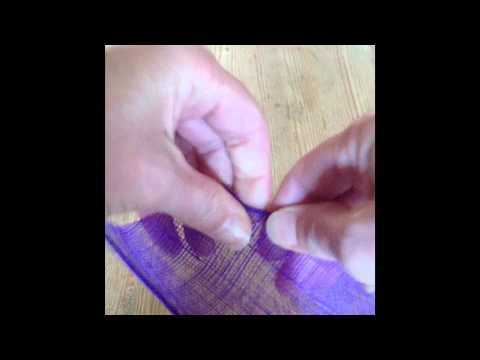 Rêve de fleur, how to make silk flowers.